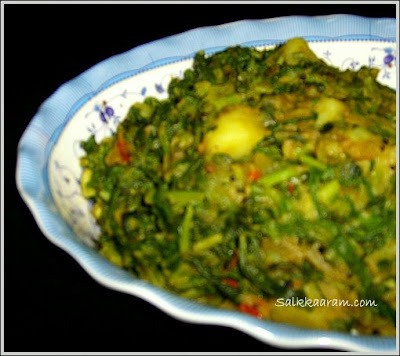 Potato and spinach / Cheera Urulakkizhangu masala | Simple and Delicious ! Keep stirring after adding chopped ginger and green chilies. Add tomato pieces and all the powders. Add salt , potatoes, garam masala and coriander leaves. Stir till the masala cover the potatoes. Sprinkle little water over it. Add cumin seeds or black gram dal according to the taste of North or South in the beginning. Best to have with chapattis. Good entry for JFI...Pinne aara ee joseatten,Jonuncle..and where are u in dubai? ?